Boiling Rhythms | Music | Style Weekly - Richmond, VA local news, arts, and events. Antibalas keeps Afrobeat music working no matter the weather. The country's premiere Afrobeat group Antibalas will be joined by Zap Mama in a special concert at the Carpenter Theater on Wednesday, Jan. 28. The Antibalas ensemble is on a mission. Paired with a stunning group led by Congo-born Belgian vocalist Zap Mama, born Marie Daulne, who blends African vocal techniques and European polyphony, the 12-strong pioneering Afrobeat group’s tour has an express purpose. “What we’re doing is part of a musical conversation that has been ongoing between the African continent and the African diaspora for 500 years,” says Martin Perna, who founded Antibalas and plays baritone saxophone. Born in a Brooklyn warehouse in 1998 a year after the death of seminal musician and Afrobeat pioneer Fela Kuti, the multiethnic crew Antibalas -- pronounced ahn-tee-BAHL-ahs, meaning bulletproof in Spanish -- is credited with helping keep Kuti’s legacy alive by introducing Afrobeat to a wider global audience. Part of that stems from members of the group performing in the pit band during the Tony-winning and Grammy-nominated production of “Fela,” an homage to the Nigerian bandleader who forged the Afrobeat sound in the 1970s out of indigenous rhythms and American soul and jazz. “Fela” brought Afrobeat to a boiling point in the cultural zeitgeist. But even after a successful run on Broadway and nearly two decades of the band’s around-the-world performances, Perna still finds that he has to explain Antibalas’ music, especially at home. Indeed, bands such as Toubab Krewe and Vampire Weekend have dipped into Afrobeat’s kineticism and hypnotic groove to critical acclaim, fervent fan bases and, in a few cases, million-selling hits. While Perna doesn’t slight any band for incorporating Afrobeat elements into a rock ’n’ roll context, he says it doesn’t do much for the genuine article. In that way, Antibalas stands starkly in contrast with musicians trying to graft worldly sounds onto rock music. 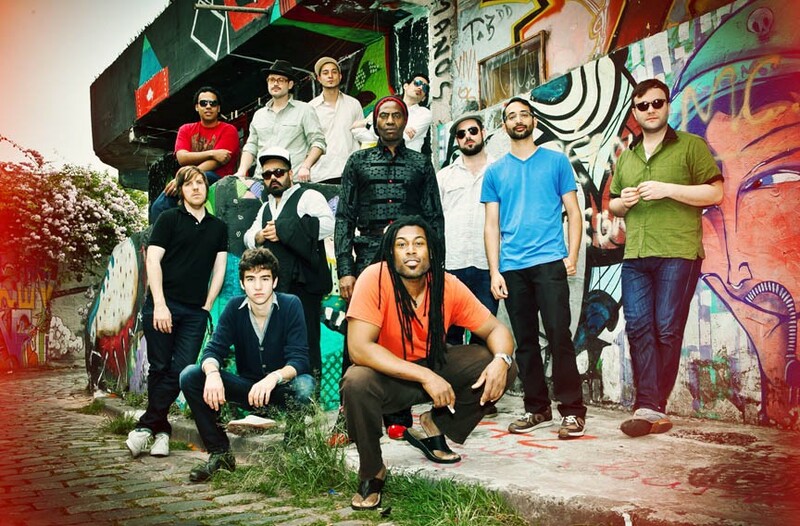 The music jams on fat grooves, but Antibalas isn’t a jam band. It doesn’t acknowledge the lines between jazz, soul and Afrobeat -- it erases them. Its songs, like those of Kuti’s Africa 70 ensemble, are careening sprints that zigzag between taut urgency and orgiastic celebration, horn vamps and bubbling bass lines and scratchy guitar licks and call-and-response vocal shouts building into cacophonous struts. After all, Antibalas’ prevailing mission isn’t to fuse Afrobeat with anything. It’s to play it as unadulterated as possible. Zap Mama and Antibalas perform at the Modlin Center for the Arts on Wednesday, Jan. 28, at 7:30 p.m. modlin.richmond.edu.